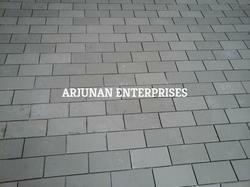 Owing to the technologically advance manufacturing unit, we are able to offer a gamut of Heavy Duty Industrial Tiles. The offered range is extensively used in different industries, where heavy trolleys and forklifts are used. Excellent compressive strength which is above 98N /mm2, these products are widely appreciated by the customers. These products are applicable for the use in heavy traffic areas such as railway stations, air ports, malls, fast food restaurants. 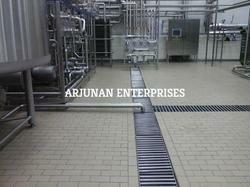 Our organization is engaged in offering a high performing array of Acid Resistant Tiles. Pharmaceuticals, paper mills, petrochemicals, warehouses, battery rooms, food processing units and chemicals plants are some of the application areas of our products. Available in different dimensions suiting the power houses as per the requirements of our clients. In order to meet the distinguish requirements of the clients, we offer a range of Alkali Resistant Tiles. To meet the flooring requirements of tanks and other equipment, these products are manufactured keeping in mind the exact requirements of the customers. Our range is extensively used in different industries like petrochemical, copper plants & thermal power plants, integrated steel plants, chemical, fertilizers, pharmaceutical and more. The offered range is available in different grades and dimensions suiting best with the demands of our valued clients. 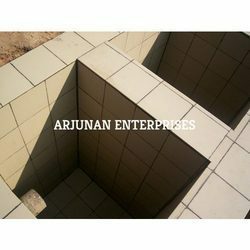 Patrons can avail from us a wide and exclusive assortment of Acid Proof Tiles. Our skilled labors manufacture these products using quality raw material at high temperature. Being one of the most reliable range of anti-corrosive products, these qualitative products can stand against the harsh chemicals and stains caused by them. Our patrons van utilize these products as per their preference and requirements. 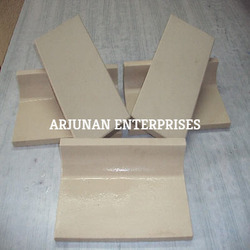 Pelican Acid Tiles offeredcomes in quality construction finish and provides superior resistance to all acids, alkalis. Meeting IS -4457 of 1982 standards, these acid resistant tiles find extensive use in chemical industries involving storage tank areas for acid and alkalis as well as in floor, chimney and duct areas. Other than this, these are also suitable for use in effluent treatment plants & electro plating industries; battery rooms as well as other industry sectors like fertilizers, pesticides, pharmaceuticals, industrial and educational laboratories. Some of its features include superior acid and alkali resistance; suitable for use in heavy duty flooring of warehouse & factories; providing for skid proof finish among others. Pelican Ceramic Tiles offeredcome in quality constructed finish and depending upon tile thickness these can be made available in breakthrough strength of 3000-1500N thus providing suitability for usage in heavy movement areas. Further, these tiles come with water absorption of <0.5% and wear resistance of 1.2mm, thus making them long lasting in terms of service life. Some of its features include offering superior acid and alkali resistance; offering high decorative tiling support to floor areas; suitability for use in heavy duty flooring of warehousing & factories; providing for superior skid proof finish and others. Looking for Pelican Ceramics Tiles ?